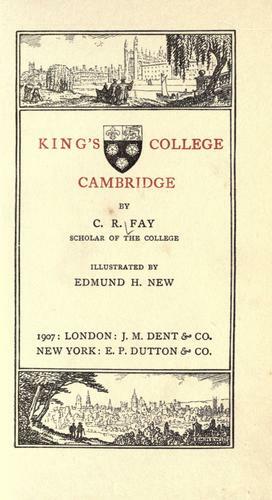 1 edition of King's college, Cambridge found in the catalog. Add another edition? Are you sure you want to remove King's college, Cambridge from your list? Published 1907 by J.M. Dent & co., E.P. Dutton & co. in London, New York . More by Fay, C. R.